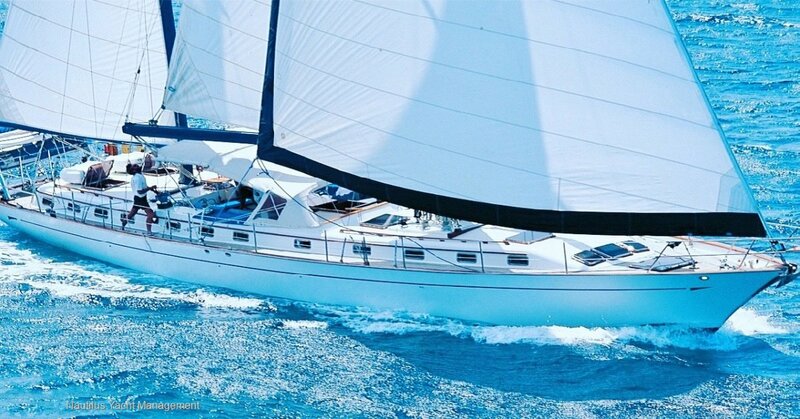 'High Aspect' is a rare example of a boat that simply cannot be faulted, and which the instant you see her for the first time will bring your boat search to another level altogether. After seeing 'High Aspect', it is likely that even the loveliest boat out there will pale in comparison, starting with the immaculateness of the presentation and evident knowledge and care this veritable yacht royalty has been shown for the past three decades. 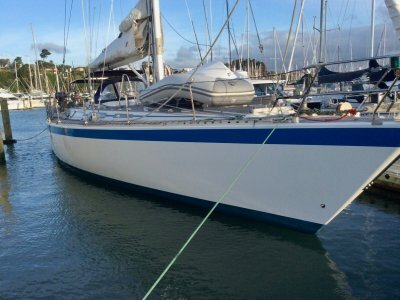 If you are searching for a large, agile and luxurious cruising yacht equipped to set sail for anywhere in the world you may not need look further, and if you are dreaming of a yacht that can also allow you to live the dream while earning a significant income, then your dream has just come true. 'High Aspect' is fully registered and licensed as a charter vessel and has been offering exclusive tailored escapes to some of the most beautiful and remote parts of the world to very lucky guests over the years. 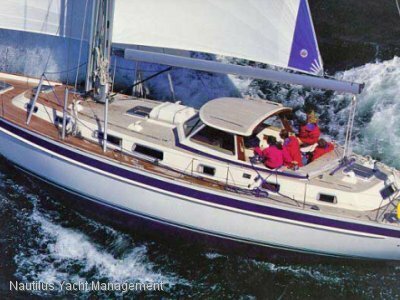 'High Aspect' was designed by Stanley Huntingford and built in Taiwan in 1985 and launched in 1986. 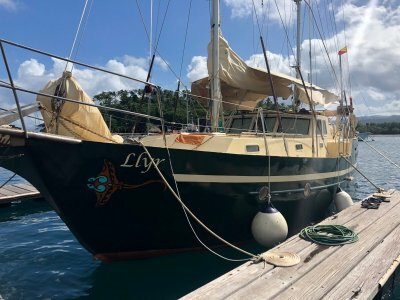 Her current owners discovered her in Florida in 1990 and after a short refit in Ft. Lauderdale, sailed her across the Atlantic to the UK via Bermuda and the Azores. During this crossing, which took place in October and presented the arduous weather and ocean condition one can imagine of the North Atlantic in Autumn, 'High Aspect' gave her owners ample opportunities to confirm herself to be the right choice for the world circumnavigation they had in mind. Her elegant lines and graceful displacement may turn heads wherever she went, but on stormy seas she is unfazed, stable and powerful. 'High Aspect' then spent almost a year in Southampton for major refit work to bring her to the standards of an exploration-style yacht and many back-ups systems were added specifically to enable the yacht to remain trouble-free and independent, which was essential when planning to remain in some of the world's most isolated parts of the work. After sailing to Kenya via the Mediterranean and the Red Sea, 'High Aspect' settled for three years as a luxury, fully crewed adventure charter off the coast of Kenya, brilliantly run by her owners and carefully chosen crew at all times. She became famous in the area, where sailing boats were incredibly rare, and where operations of this kind virtually unknown, and still are. Leaving Kenya in 2004, the yacht made her way to the Seychelles where she continued with luxury charters for the following 8 years, then onto South East Asia and finally the Pacific and Fiji, where 'High Aspect' is now imported and fully registered as a luxury charter yacht. In spite of her busy life exploring the world and offering lucky guests the opportunity to visit some of the most pristine and remote locations, 'High Aspect' presents today in astoundingly good condition. In fact, were you to have a Formosa New Horizon built today, you would probably find it hard to tell the difference, except of course for the fact that this yacht has benefitted from 30 years of continuous upgrade and improvements acquired over years of refining her existing systems. 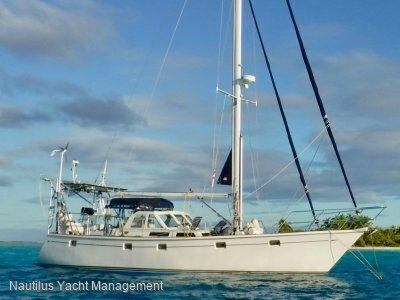 'High Aspect' is presently berthed 20 minutes north of Nadi International Airport, Fiji. Full deck equipment list in main text, or download the brochure. THIS BOAT LOOKS LIKE IT HAS ONLY JUST BEEN BUILT. IMMACULATE FROM THE ENGINE ROOM TO THE TOP OF THE MAST. NOT A BLEMISH TO BE SEEN. SHE IS A CREDIT TO HER OWNERS OF 30 YEARS. MUST BE SEEN TO BE FULLY APPRECIATED.